Don and Thad, part of the fall MRO group fished today with me. Swinging flies was new to the fellas, but they quickly became proficient. While Don had previously hooked and fought steelhead on his fly rod, none were ever brought to hand. 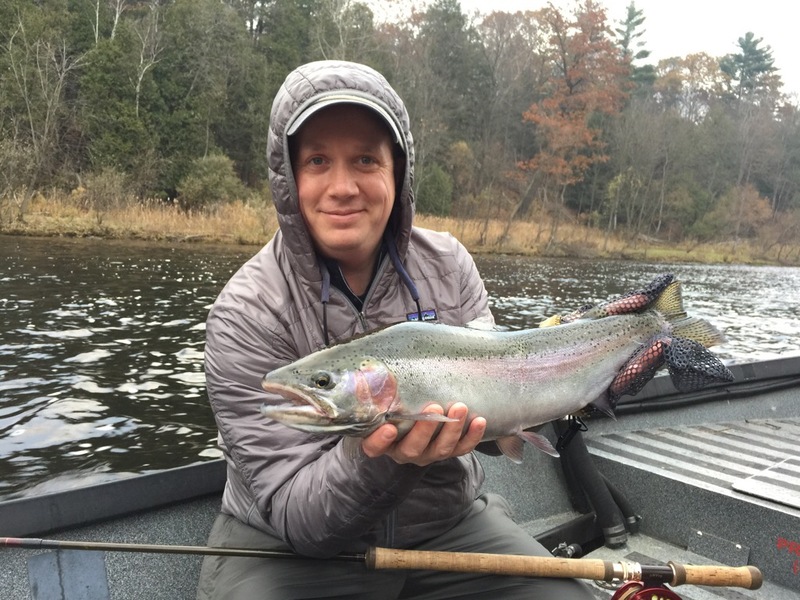 Pictured is Don with his first steelhead. Congrats, I’m even happier that you caught it on the swing!